We recently trolled for treasure at my in-laws house so our kids could pick out some keepsakes. My husband came across his childhood teddy bear, which he decided to bring home with us. I was a little hesitant as Teddy had definitely seen better days. He has black ears, arms and legs and apparently had a white body but most of the fur is gone from so much loving and cuddling. My husband’s grandmother performed a surgical repair to replace his chest and tummy with white fabric. 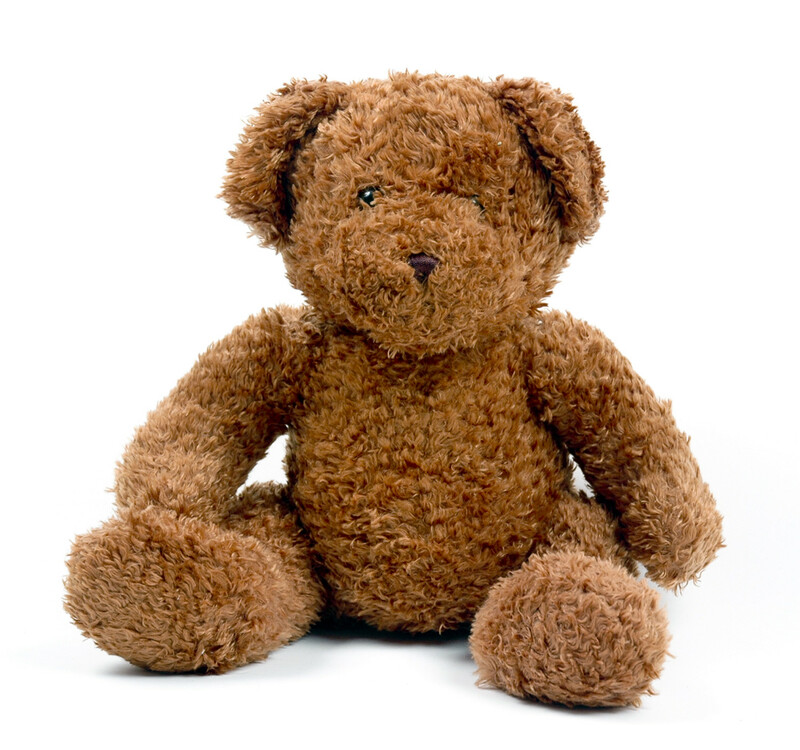 Teddy has reddish eyes with black pupils but almost no nose or mouth to speak of. Who knew that resuscitating this bear could once again give its owner such joy? Teddy has brought us innumerable laughs. It’s surprisingly been a mischievous break from the daily grind. On Teddy’s first night in our house, I tucked him into my husband’s side of the bed so he greeted him when he came to bed. It made hubby smile. We chuckled that Teddy may feel a little awkward having to share my husband’s affection with me. The next night I came to bed to find Teddy perched atop our headboard, lording over the marital bed, my husband joked. I confessed that I thought Teddy was creepy and scary-looking and flung him to the floor. I have gotten enormous pleasure from surprising my husband by posing Teddy in varying and amusing attire. Part of the rush for me is that I forget about Teddy until I go up to bed, when hubby is generally not far behind – I often have only a few moments, wildly looking around the room for inspiration and humor. First I tied a bandanna around his head, so he looked sort of like Bruce Springsteen, of whom my husband is a big fan. 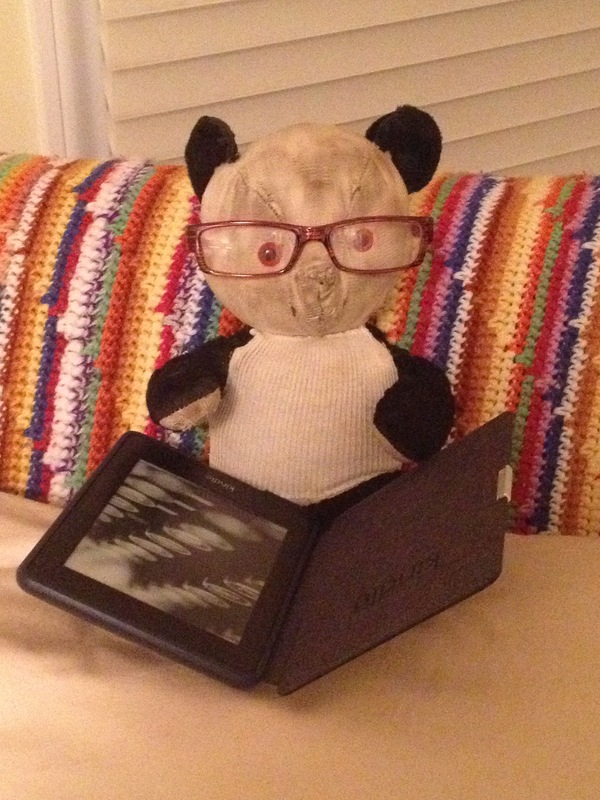 The biggest laughs so far came when I had him sitting in a chair in our bedroom with my reading glasses on and “reading” on husband’s kindle. It made us both laugh so hard, we cried. The silliness of it tickled our funny-bones – go figure. If our kids are around, they share in the fun. Otherwise it’s just one of those silly things that keeps life light and fun in the midst of the harder times of being adults. Apparently teddy bears aren’t just for kids anymore. Or we’re just kids in the body of adults…old and weathered like Teddy. This entry was posted in Family and tagged humor, laughter, marriage, memories, teddy bear. Bookmark the permalink. Thanks for sharing. I still love teddy bears too. After my mother passed away, we brought her teddy bear with us to Canada..and took pictures with it on top of the mountains. Susan, this is adorable! It had me laughing right along with you!